Minju Choson (민주조선), one of the most important newspapers in North Korea, is the latest state media organ to go on the global Internet. The newspaper launched a website recently at www.minzu.rep.kp that carries news, photos and video from the newspaper. The launch wasn’t announced but it appears to have come online sometime in March 2019. 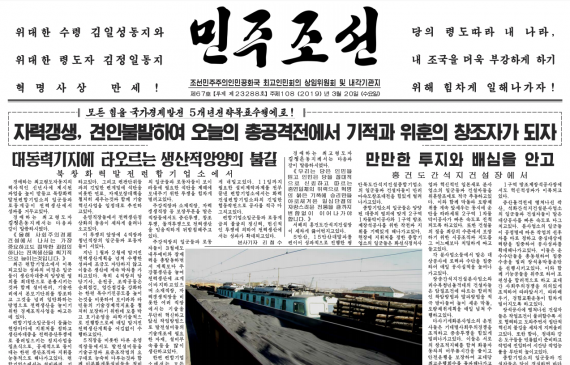 Minju Choson is the official newspaper of the government, technically speaking for the Cabinet of North Korea and the Presidium of the Supreme People’s Assembly, but as all media in North Korea is centrally controlled, the material on the website isn’t expected to differ significantly from that on other sites. The newspaper is noted for its commentaries, particularly on the United States, although they are usually reported in other state media websites. For that reason, access to the newspaper’s website won’t necessarily bring extra insight. One area where it could prove valuable is in reproduction of new national laws and regulations. The site joins a growing number of state media outlets present on the Internet. The first was the Korea Central News Agency and that was latter joined by the Rodong Sinmin, which ranks above Minju Choson as the country’s most important daily newspaper. 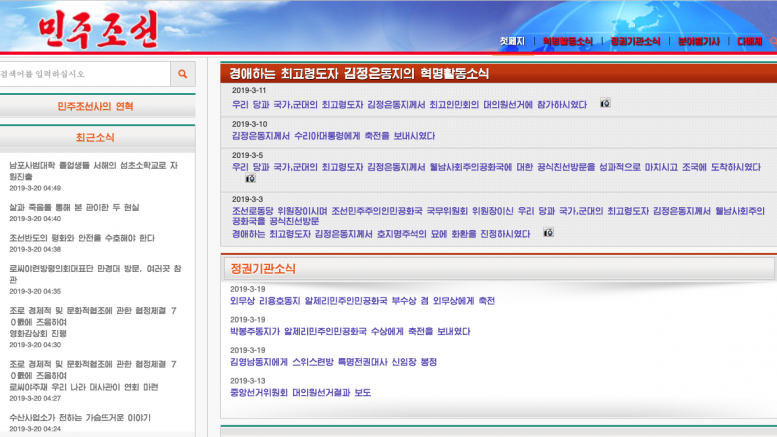 Other sites include the Voice of Korea, Pyongyang Broadcasting Service, the Pyongyang Times and Naenara.